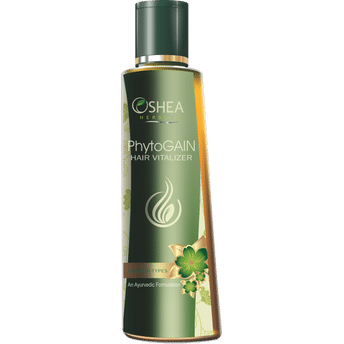 Phytogain Hair Vitalizer is a unique blend of rare and essential herbs, Phytogain hair vitalizer heals damaged roots and controls hair fall. It stimulates the anagenic phase of the hair growth cycle. It induces quick multiplication of hair fibrous cells, which results in faster development of hair follicles. It improves tensile strength of hair and increases hair density.